Dota 2 is slowly heading towards The International 4 with more tournaments to burn before the real championships begin. 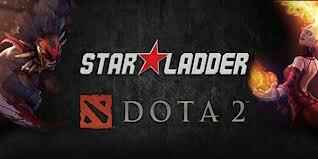 Now with Star Ladder series, teams from all over the world will compete against each other in a prize pool of $80,000 set by the sponsors but the total prize pool is now at $172,265 as of March 12, 2014. Star Ladder Season 9 pits teams from Europe, Korea, China, and America in a do or die battle against each other. At first the regions will start off with qualifying matches and proceed to the group stage. The First Group Stage will have 16 teams that are divided into 4 groups. It will be a best of one series wherein the top two teams from each group will move on to the Second Group Stage. The Second Group Stage will be composed of the top eight teams that have moved on from the First Group Stage and will form 2 groups of 4 teams. It will still be a best of one series with the top team from each group going into the Semifinals. Meanwhile, the second and third place teams will meet in the first round of the knockout stage. By the time the Playoffs happen, the six teams will be divided into the upper and lower bracket. All games will be on a best of three series. The Finals will also be a best of three series. Participating teams from Europe include powerhouse teams like Natus Vincere, Alliance, Fnatic, Cloud 9, Team Empire, Virtus.pro, Power Rangers, NEXT.kz, The Retry, Meet Your Makers, Sigma.int, Relax, Ahead Gaming, Insane Gaming, and Cleave. Teams from Korea will be MVP Phoenix, MVP HOT6ix, 5 in QO, Bird Gang, Team Nemesis, Monkey Spanner, Newbie, and Get Outs. From America, Evil Geniuses will be joined by Team Liquid, Team eHug, Revenge eSports, CNB e-Sports Club, Denial eSports and alongside qualified teams such as Team Dog and Osiris Gaming. In China, Team DK, Invictus Gaming, LGD Gaming, Vici Gaming, TongFu, and Newbee will be joined by qualified teams DT Club and CIS game. Games in all regions have already started with Team Empire, Natus Vincere, Alliance and Power Rangers taking the top 4 spot at the Star Series in Europe while Evil Geniuses, Revenge eSports and Team Liquid are tied at the top spot in the American side. Invictus Gaming leads the pack in China with zero losses while Team DK and Newbee are tied at the second place. MVP Phoenix also leads the standings in Korea with six wins and zero losses. Bird Gang tails from behind with four wins and a loss. Stay tuned for more updates on Star Ladder Series Season IX.